In this article you’ll discover five psychology tips to improve engagement on your social media posts. 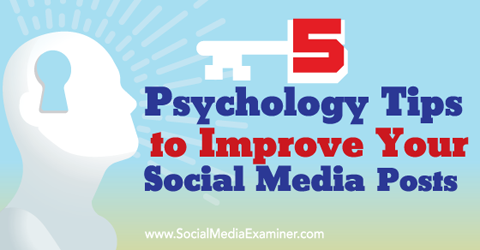 Discover five psychology tips to improve your social media posts. Your image is your first call to action in your social posts. It’s the front door to your content, so it needs to make an impact. It’s important to choose an image that expresses what you’re trying to say in your post. 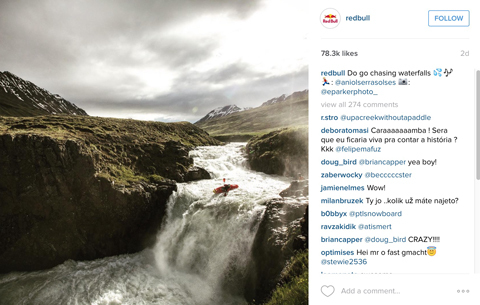 For example, Red Bull’s Instagram images inspire their followers to enjoy life and seek new adventures. For your social posts, choose images that tell a story. Good social images also stand out from the crowd and command attention in people’s news feeds. 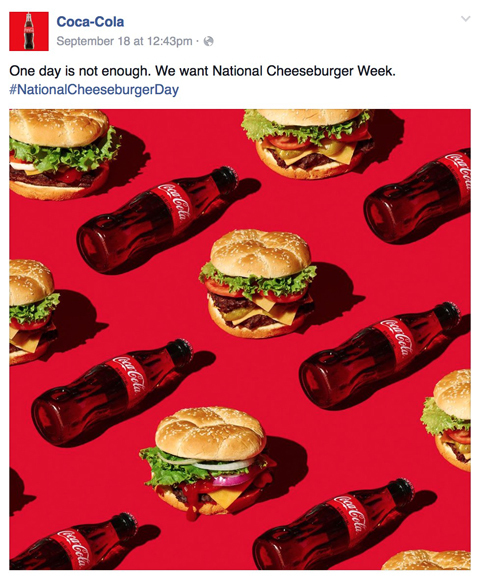 The image in this Coca-Cola post draws the audience’s attention with its use of vivid colors and an interesting pattern. Select images that will draw your audience’s attention. Your images should also be relevant to your target audience. 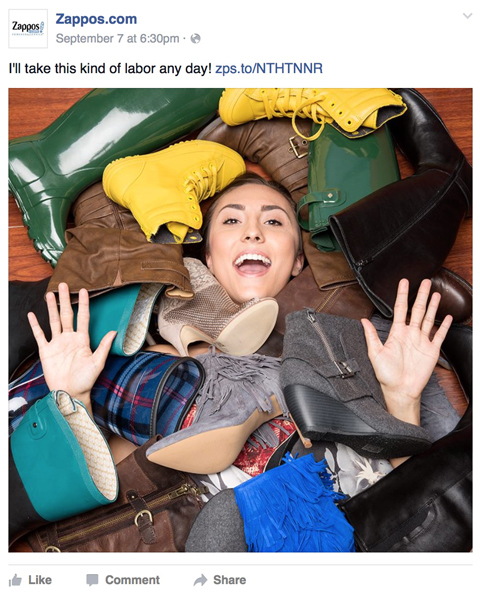 In this Facebook post, Zappos uses an image that appeals to their audience: women who are fashion-conscious and love to buy shoes. Look for images that will appeal to your target audience. Brands that make the best color choices are the brands that get the most engagement on social media. Before you start sharing your content on social media, you should choose a color that is synonymous with your brand. Your color choice not only represents your business but also impacts your followers on a psychological level. 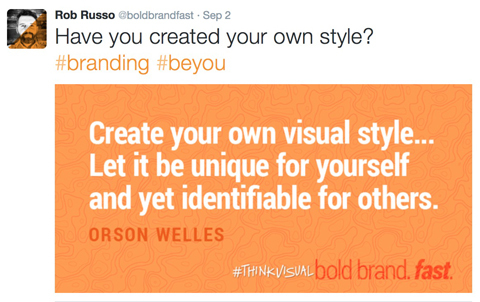 Rob Russo’s visual branding stands out in his followers’ news feeds and draws attention to what he’s saying. That’s the strategy you want to apply to your visual marketing. The right brand colors can make your posts stand out in people’s news feeds. 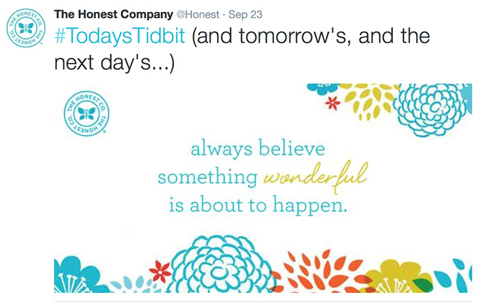 The Honest Company’s signature color is used prominently on all of their social channels and in their posts. The color makes their posts instantly recognizable to their fans. Use your brand colors in your social posts. Think about whether your brand color speaks to your target market. If you’re using a consistent color for your brand but not getting the engagement you want, you may need to rethink your color choice. After creating your first call to action with an image, it’s time to focus on the description. The law of attraction states that “like attracts like,” so start your description with words you know people want or like to hear. Six words that typically work well are who, what, when, where, why and how. These words spark an emotional response that grabs a person’s attention. You can also try these trigger words to engage your audience. Connecting with readers on an emotional level, especially when it’s something happy, can impact your social media posts. 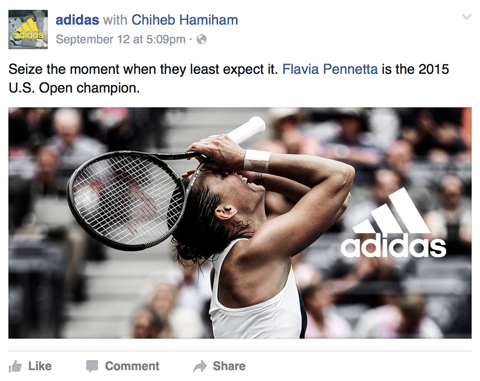 In this Facebook post, Adidas connects with their fans by sharing Flavia Pennetta’s exhilaration at winning her first Grand Slam singles title. Connect with your audience on an emotional level with your posts. Whether you know it or not, you’re prompting some sort of emotion with all of your social posts. Even if it’s boredom, readers are feeling an emotion when they see your post. To make the most of this opportunity, share good things with your followers. Portray a friendly, happy brand that is helpful and generous, and people will be drawn to your posts. On Oreo’s Facebook page, their posts project a fun and lighthearted personality. 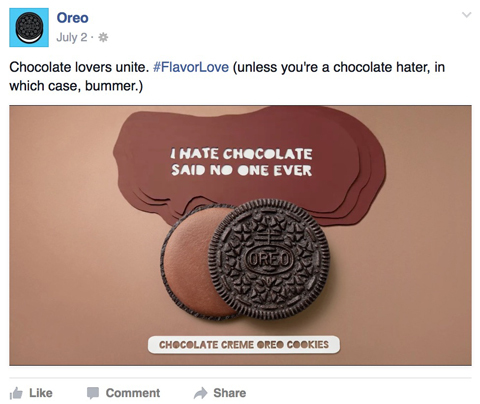 Oreo projects an upbeat, friendly vibe with their Facebook posts. How you introduce conversation into the mix of your social media posts helps determine how much people will open up to you. The easiest, most effective way to spark communication is to ask for it. You might begin your post with a question or end with a question or a statement that prompts people to engage. 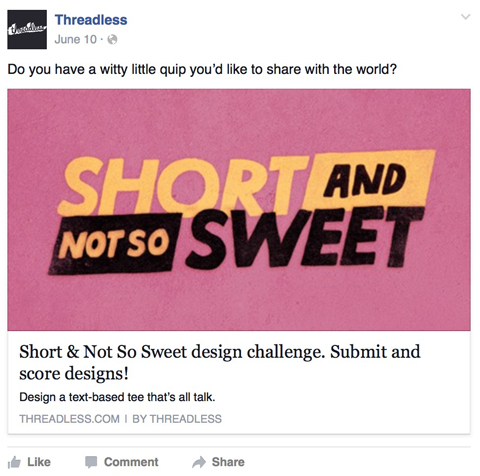 In this post, Threadless engages their followers by asking them to submit a quip to use in one of their t-shirt designs. Engage your followers by asking them a question. By establishing communication with your followers, you’ll discover what they need and want and how you can give it to them. 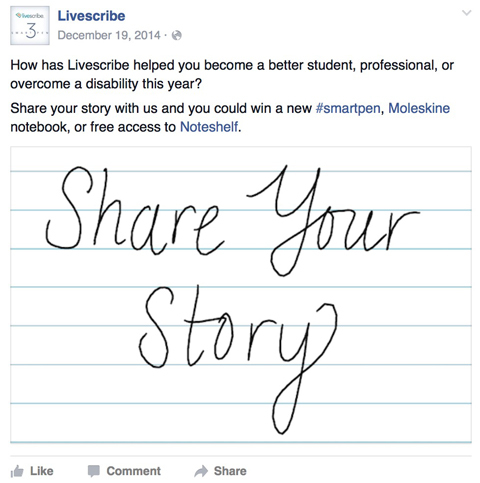 In the post below, Livescribe asks their followers to share stories about how the company’s products have helped them in personal or professional capacities. These stories provide the company great insight into the many ways customers use their products. Sparking a conversation allows you and your followers to get to know each other a little better. Effective communication allows you to make a positive impact with your social posts. 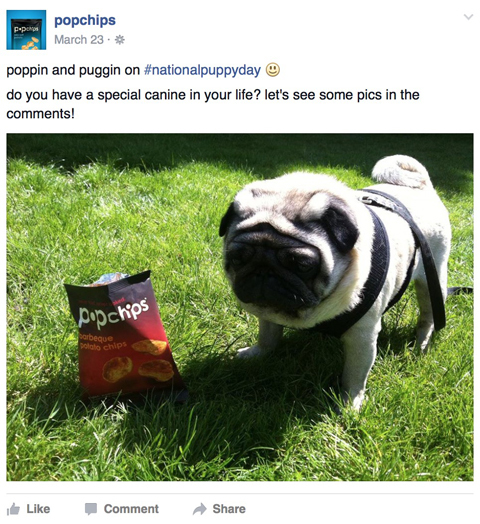 Here, Popchips engages their Facebook followers by asking them to share pictures of their dogs to celebrate National Puppy Day. Invite followers to share something they enjoy. Your followers will remember their positive conversation with your brand the next time they see you in their news stream. Remember that when you start giving people a glimpse of your brand’s personality, they’ll begin to trust you. Your personal profile picture can also have an impact on your social media posts. If you appear friendly and helpful in your profile photo, you’re likely to attract and draw in more followers. This psychological study suggests that you smile in your photo, show your eyes (no sunglasses) and squinch (like a squint, but a bit less). Also, crop the photo to show you from your shoulders upward or from your head to waist. Think carefully about each element of your social media posts, including the images, your use of brand colors and the description. These tips will help you connect with your followers on an emotional level and create a conversation. What do you think? Have you tried any of these tactics to improve your social media posts? What techniques do you use to appeal to followers on your social channels? Please share your thoughts in the comments below. 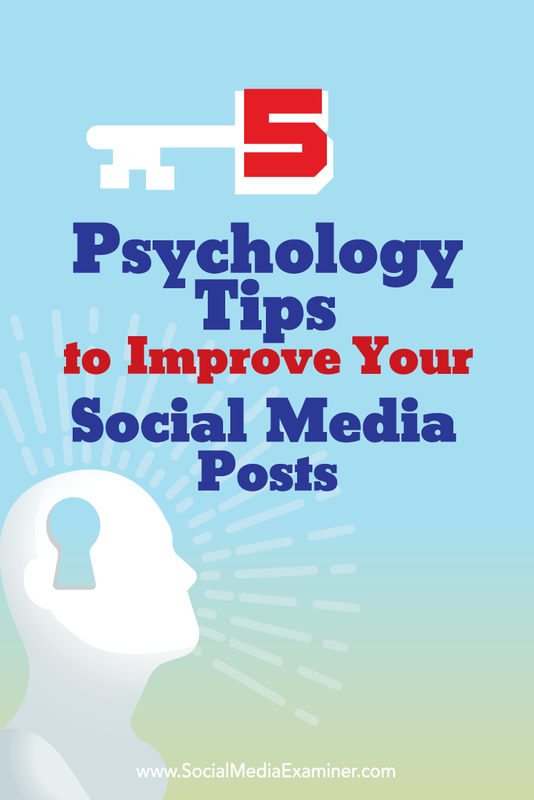 Five psychology tips for improving your social media posts.